This study guide focuses on two of the fundamental human 'needs': acceptance and identity. Often our identity is based on the acceptance of other people and what they think, rather than what the word of God says and what he thinks. This book will help you find out who God made you to be. The Youth Bible Study Guide: Image and Self-Esteem is one of a series of study guides for young people designed to be used alongside the Youth Bible, Easy-to-Read Version. It contains insights from a number of well-respected authors and has been compiled by Chip and Helen Kendall. 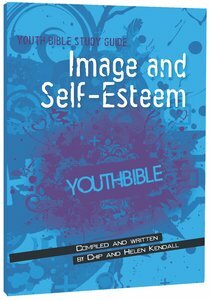 About "Image and Self-Esteem (ERV Text) (Youth Bible Study Guide Series)"